Properties in Chassors average 4.8 out of 5 stars. Come cocooning and enjoy the pool and hottub together, near the golf of Cognac! Property 11: Come cocooning and enjoy the pool and hottub together, near the golf of Cognac! Cocooning between the vineyards in a French villa with heated pool and hottub! Property 14: Cocooning between the vineyards in a French villa with heated pool and hottub! Property 22: Beautiful residence in CharentePoitou in the middle of the vineyards. Le Puits, Beautiful Stone Cottage with Private Swimming Pool for sole use. Property 23: Le Puits, Beautiful Stone Cottage with Private Swimming Pool for sole use. A traditional 2 bedroomed stone cottage ideal for family holidays. Property 25: A traditional 2 bedroomed stone cottage ideal for family holidays. Holiday rental house with farmyard and garden near Cognac. Property 26: Holiday rental house with farmyard and garden near Cognac. Apartment with pool, beautiful landscaped, fenced garden overlooking the hills. Property 33: Apartment with pool, beautiful landscaped, fenced garden overlooking the hills. Property 38: Luxury apartment with terrace, sauna, tennis, and heated pool. Property 41: Spacious 5 bedroom house with swimming pool in fully enclosed garden. Property 43: Luxury apartment with terrace, sauna, tennis, and heated pool. A serene setting, close to Cognac but quiet and relaxing at the end of a day of touring. Our host was so helpful and accommodating. 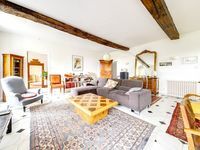 This farmhouse is full of old world charm Bring extra layers for the cool nights and enjoy all this area has to offer. We had a fantastic time. Great accommodation and beautiful surroundings. Swimming pool was good for the children with a lovely view across the vineyards. Enjoyed the tennis court too.